Throughout musical history there have been musical parings that have been just too good to be true, The Rides are one of those groups. 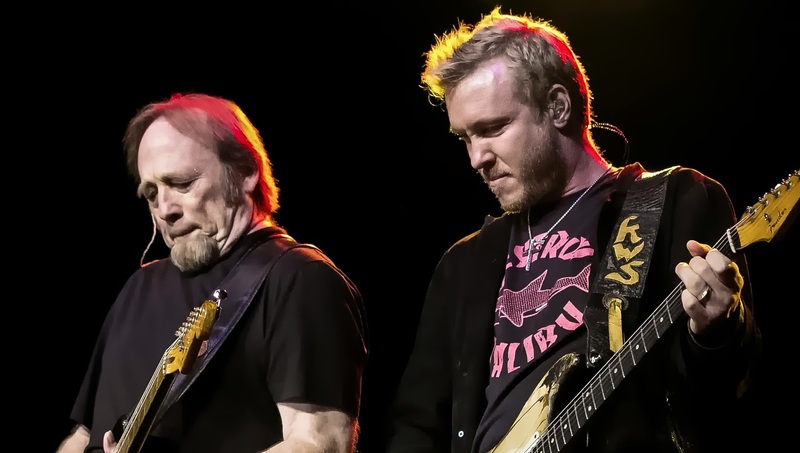 On paper, the pairing of Stephen Stills and Kenny Wayne Shepherd seems a bit weird, as Mr.Stills is known for his works with folk rock legends Buffalo Springfield and Crosby, Stills, Nash, and Young. While the still relatively young Kenny Wayne Shepherd is known for his abilities as a blues guitarist and the hit, “Blue on Black”. But putting all this aside, this pairing just works and I was lucky enough to catch the magic at St. Louis’ River City Casino. The supporting cast for these two guitar legends is equally impressive and includes Chris Layton (Stevie Ray Vaughn’s Double Trouble) on drums, Kevin McCormick (Jackson Browne) on bass, and Barry Goldberg (Electric Flag) on keyboards. To open the show was an artist I have been a fan of since first hearing her music in 1999, Beth Hart. Beth’s powerful voice is the raspy equivalent of smoking three packs of non-filter cigarettes and chasing them with a half bottle of Tennessee whiskey. Beth’s set list can vary greatly from night to night, and this show was no exception. Beth opted for a set of more obscure songs from her catalog with her hit “Delicious Surprise” being the standout in the abbreviated seven-song warm up. But Beth did become intimate with the St. Louis audience as she sang from her knees and while sitting on the edge of the stage. Beth gave River City all she had while entertaining fans old and new. Miss Hart proved to be a proper segue for The Rides' guitar-driven, blues-infused brand of music.